I’ve also been putting these up on my Tumblr, you know, in case you hang out there too. This entry was posted on Wednesday, July 11th, 2012 at 12:00 am and is filed under Comics. You can follow any responses to this entry through the RSS 2.0 feed. Both comments and pings are currently closed. 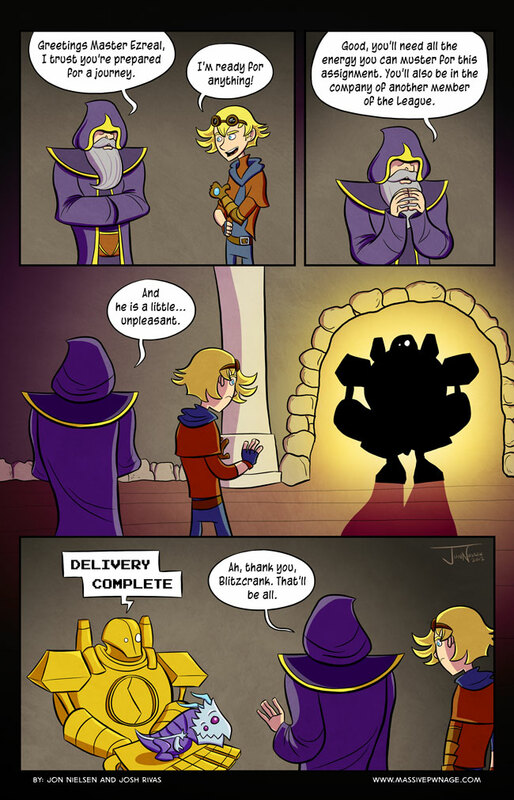 Dammit, I got my hopes up when I saw Blitzcrank’s shadow. Blitzcrank delivery service! We grab it, you gank it!